Tuesday With the Kims AND A Small Giveaway... - Jill Ruth & Co. 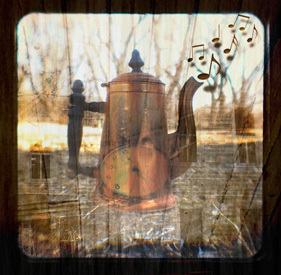 It's Tuesday....Tea time with Kimmie at Art in Red Wagons and Texture Tuesday with Kim at the Cafe. Of course I'm drinking coffee instead, but Kimmie doesn't care a tad. She even microwaves her cold tea just like I do my cold coffee...that stuff is way to pricey to waste! Kim Klassen challenged us this time for texture Tuesday to use two of her textures, 'sweet treat' and 'silence' this week. 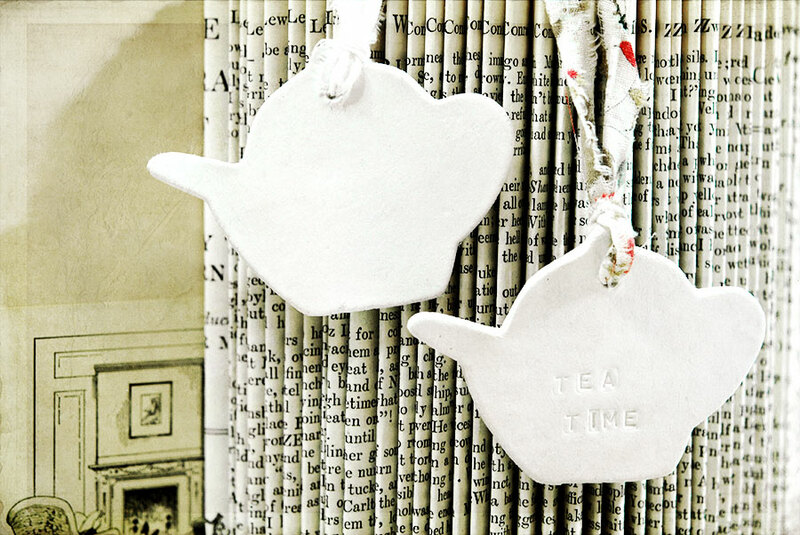 Now, the challenge was to use both 'sweet treat' and 'silence' and I did in this photo of my tea time clay tags! This leads to the giveaway. I will send the winner six (maybe more?) of my clay tags. The winner will choose which ones she wants, I have tea pots, bloom tags as posted about here, some initials, some plain, and some with script stamped in them. Just leave a comment, and I'll draw next Monday to post the winner next Tuesday! I hope you can steal some time to visit some of the links at Texture Tuesday and Tea on Tuesday! yes, i need to report some cool clay tags that are not mine. i like those tags, girlfriend. very cool shot..now get back to housework! Very artistic images. And great giveaway. I love those coffee rings .... You couldn't get such good ones if you tried :) ... And yes, I definitely hope I win a tag! A perfect giveaway for a procrastinator like me. Even after you were kind enought to tell me how to make my own! Yea, it's on my list to do but I need to win some of yours for inspiration! Love your photos! You've gotten me in the mood for some tea! You BETTER count me in on your drawing! I would love anything made by you! (Just count me in on any future drawings too). Happy tea time to you. Artistic coffee cup photos especially with the rings. Cute tags too. MMMM! Coffee, it looks as good as it tastes! it really is all about the little things...isn't it...Love your attention to detail and Light and shadows and creativity Jill! thanks so very much for the chance to be a lucky winner of your sweet sweet tags! Happy T and Texture Tuesday to you! Very fun shots. I reheat my cold tea, too. Why make a pot to throw most of it out? Like you, I can lolligag and get distracted by shiny or reflective bits and bobs. Love the tea time tea pots. I love them. They are beauti-us! Hi Jill, WOW ! Love your photos and those cute little clay tags. I am such a novice when it comes to photography but i love it, the' technical' stuff intimidates me, must learn more. 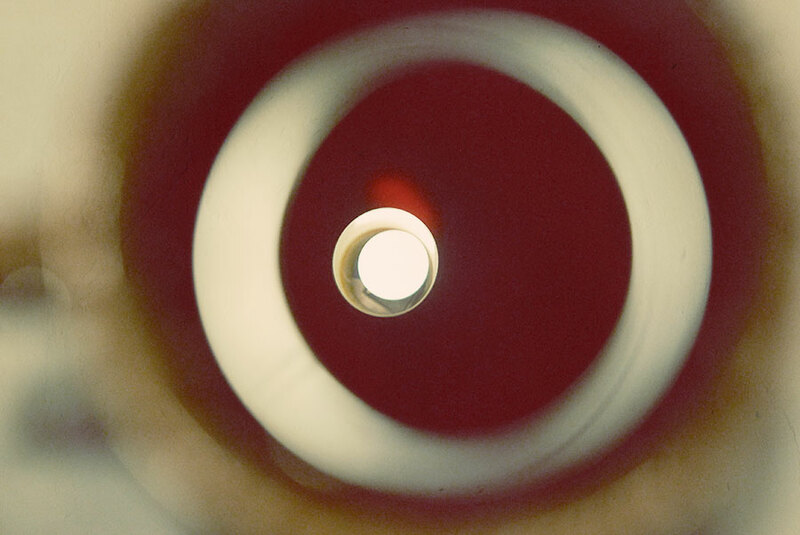 Great pic of the light reflected in your coffee mug and the rings are fab... you know there are stamps of coffee mug rings? Yes... and they cost heaps of dollars!! You have achieved this for free... you just need to transfer them to something else!! LOL Your clay tea time tags are brilliant, thank you for the chance to win some!! I love PW!! I used her actions on my photo today as well. I used Heartland and Quick edge burn. Microwaved coffee or tea...no shame in that. I even drink it cold. Can't waste good stuff. Hi Jill I'm trying a new profile. I do love this post too! 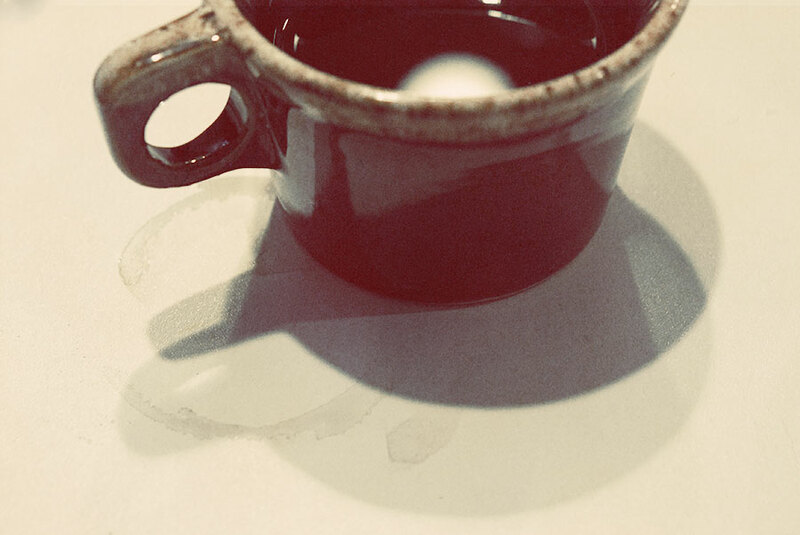 Coffee without rings? Is there such a thing?